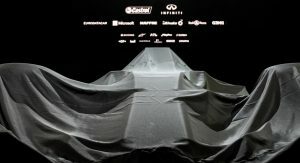 The 2017 season ushers in a new set of regulations for Formula One. 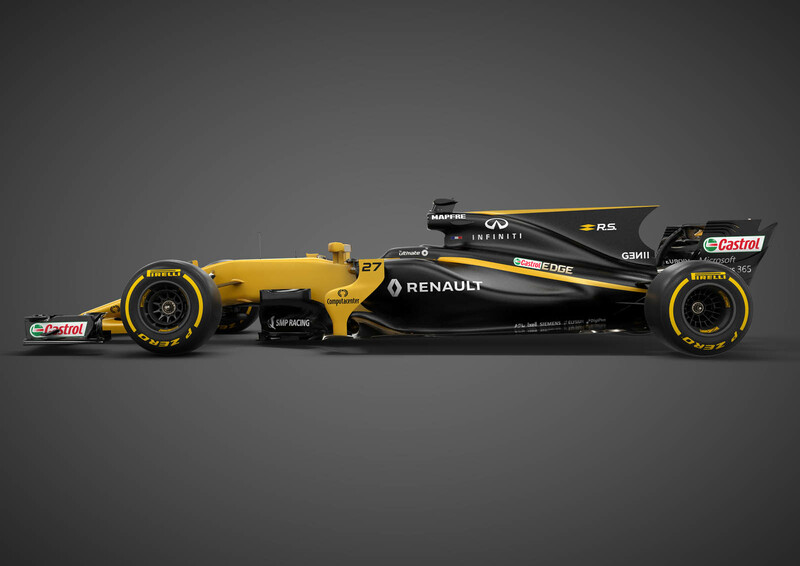 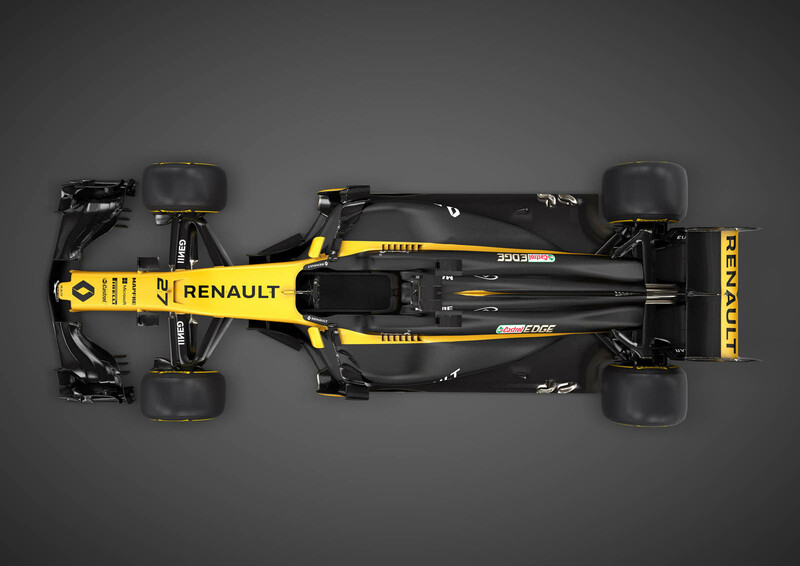 And for Renault, that means a completely new design. 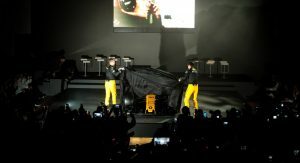 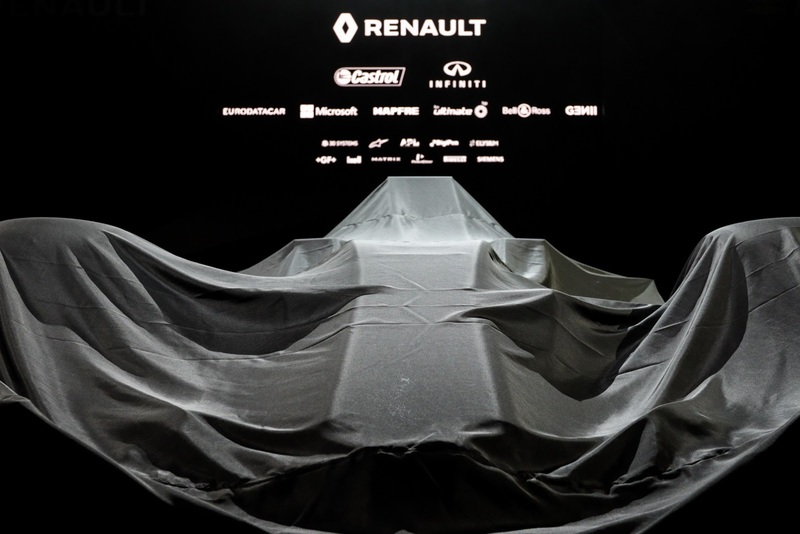 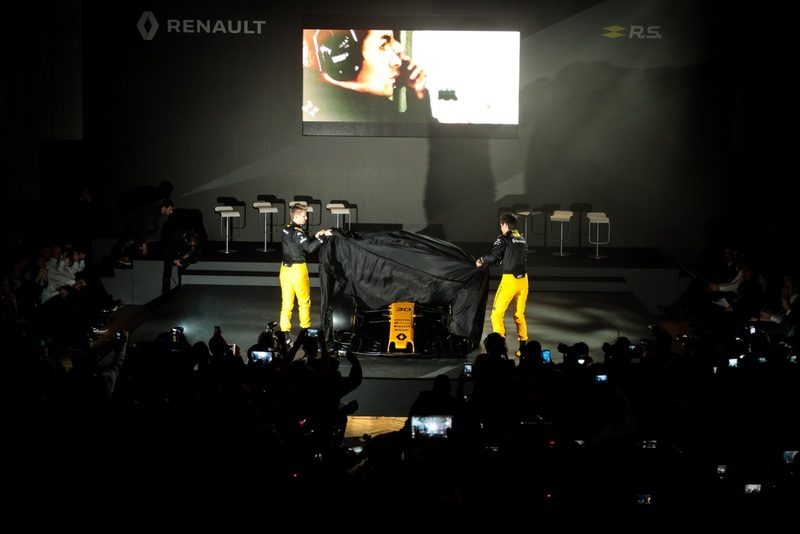 In fact the French outfit says that not a single part is shared between the car it used last year and the one you see here, unveiled before the gathered media in London today. 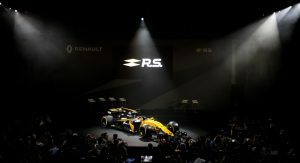 It’s also the first completely new car the team has designed since returning to the Renault fold after several years under the Lotus banner. 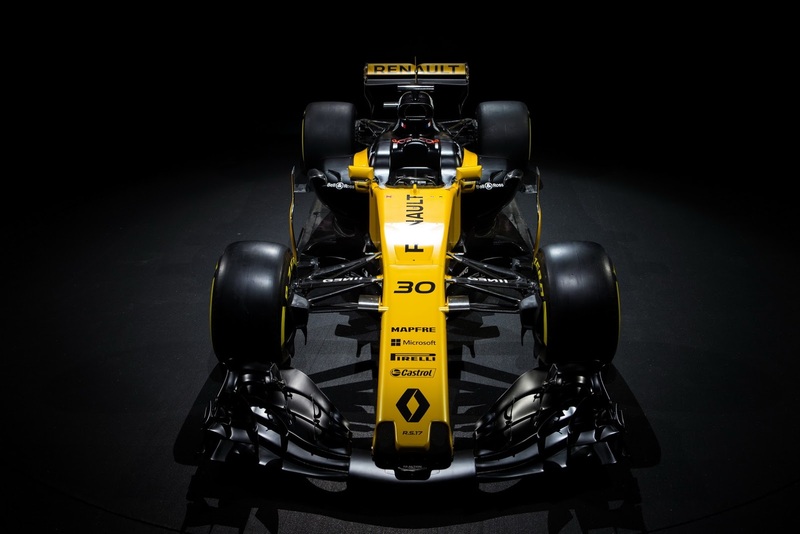 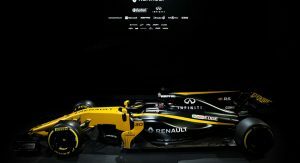 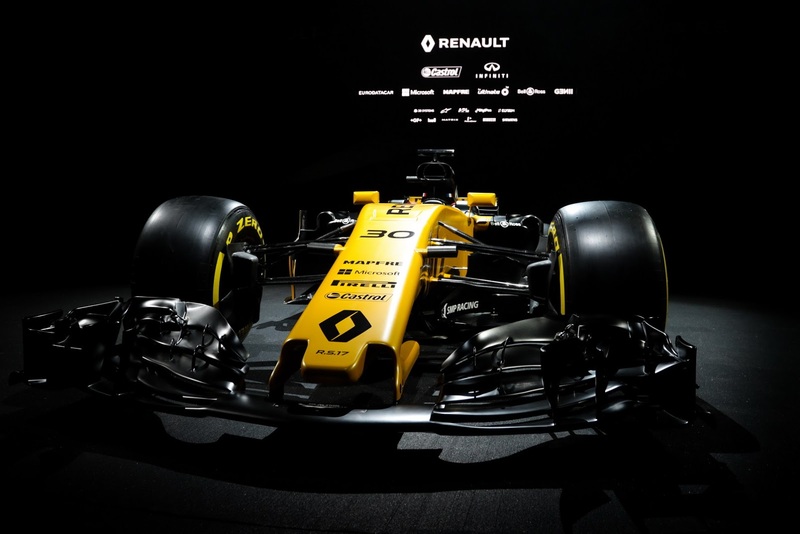 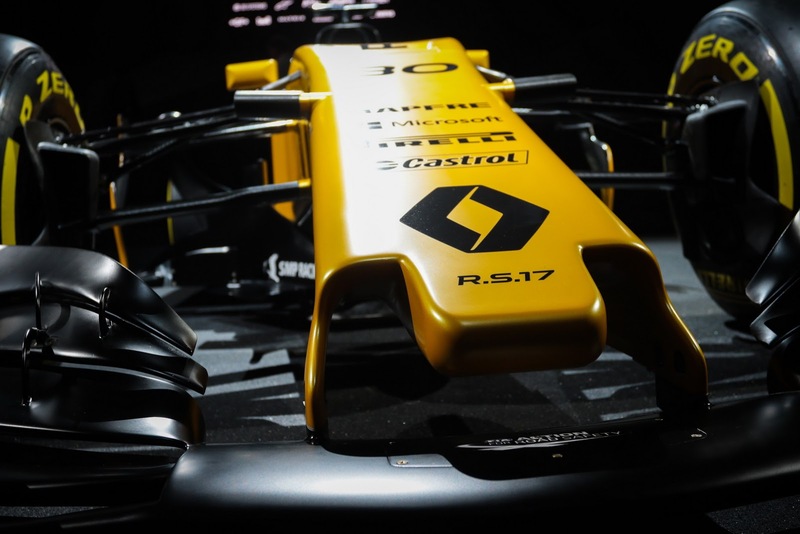 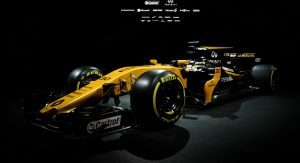 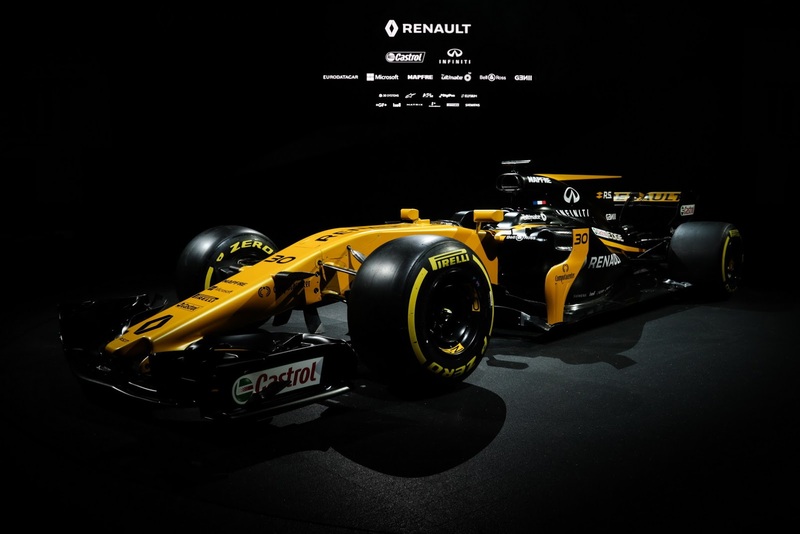 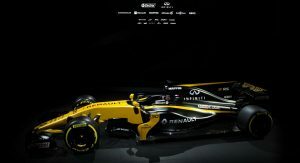 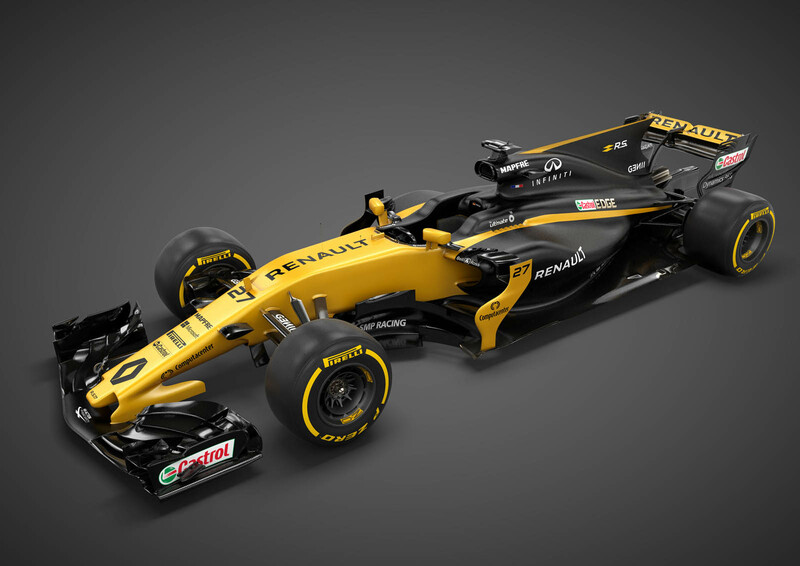 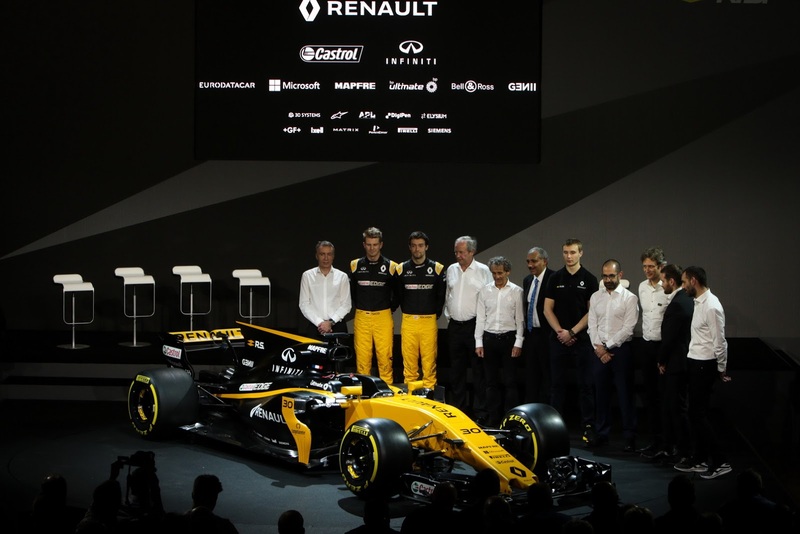 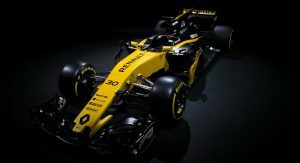 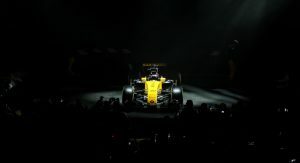 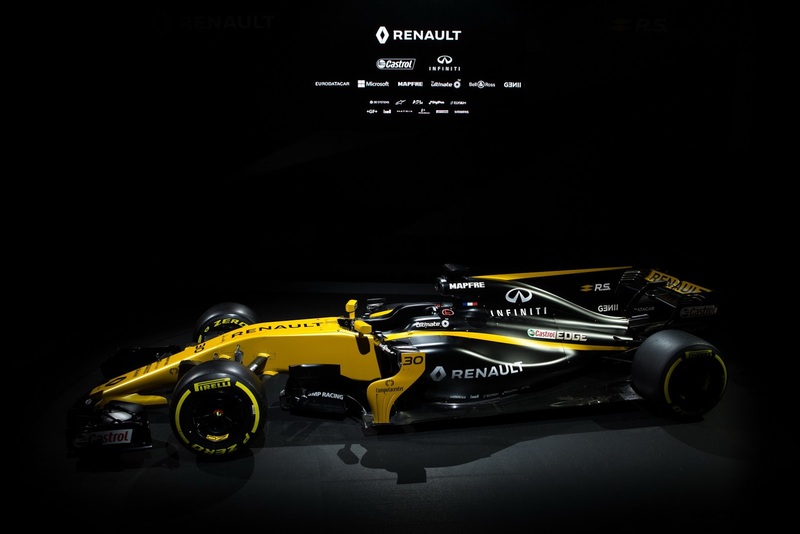 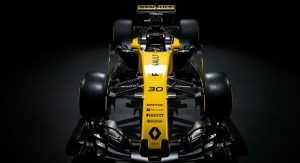 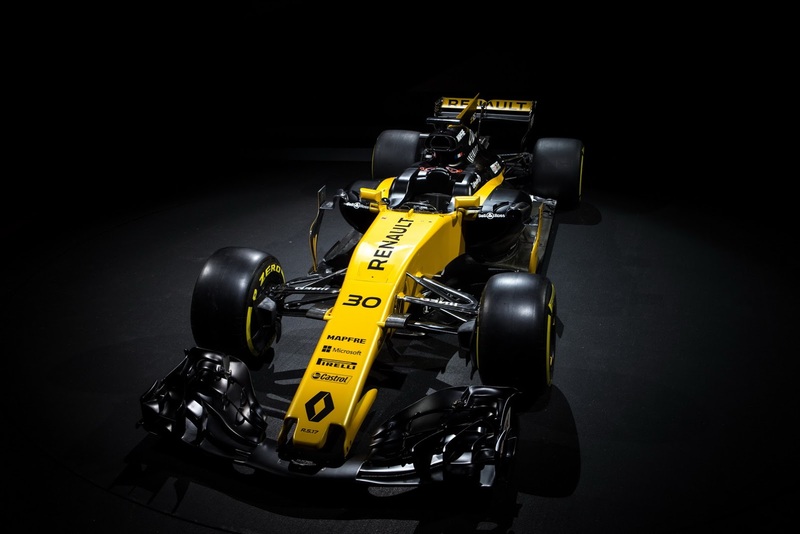 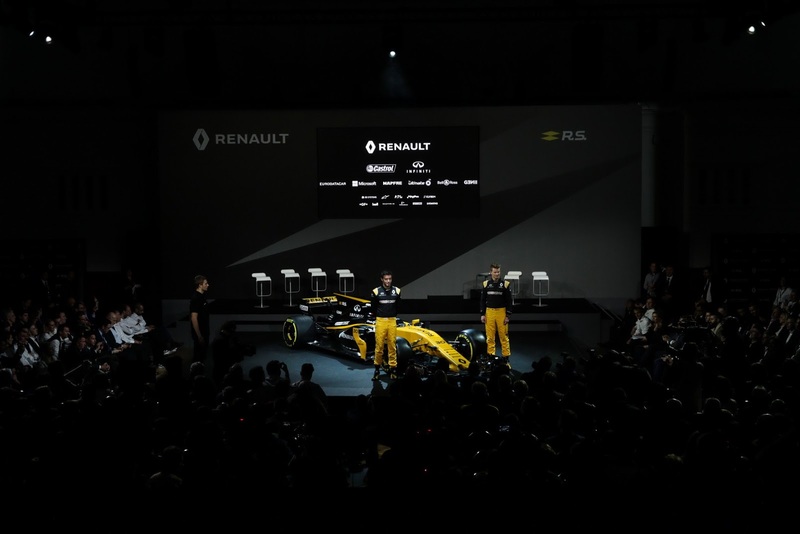 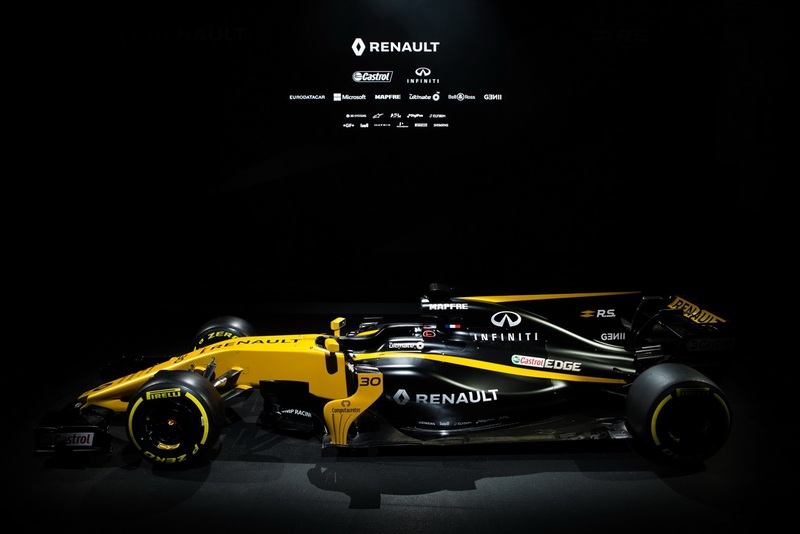 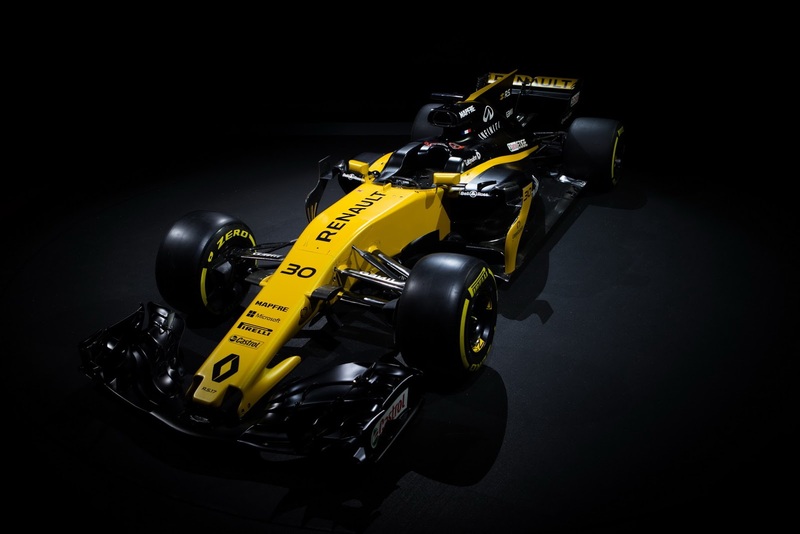 With it, Renault Sport has worked up a new livery, still in its signature yellow and black, but with more of the latter and wearing the logos of its new partners at BP/Castrol. 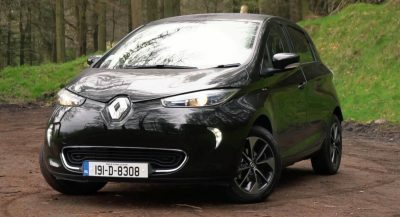 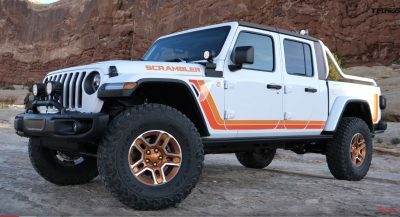 Even the powertrain is completely new, which is more than we could say for some of its rivals. 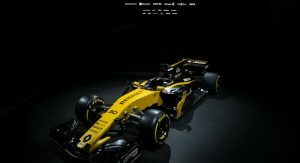 The questions is whether this clean-sheet competitor will be enough to return the team to winning form. 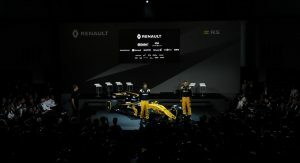 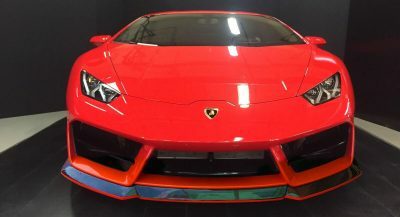 The team based in Enstone last won the championship with Fernando Alonso in 2004 and 2005, and has dropped in form since then, finishing ninth last season at the back of the field. 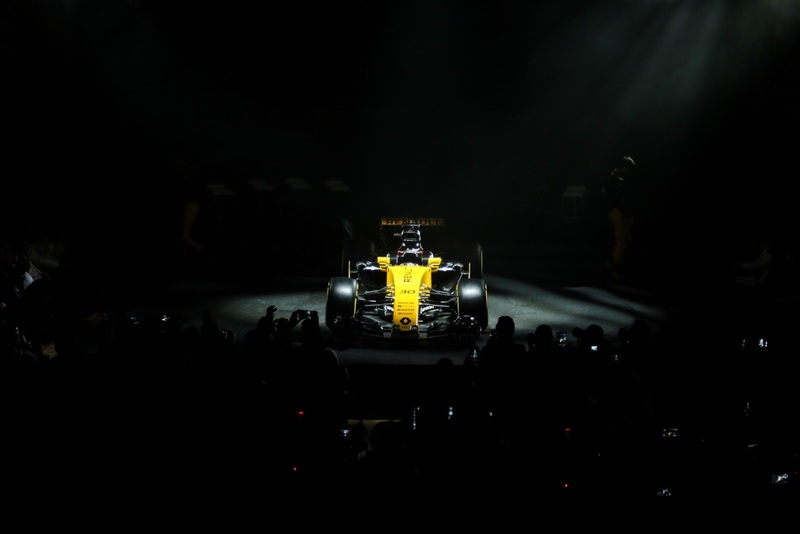 This down from the fifth-place finishes it took in the standings in 2010 and ’11 and fourth in 2012 and ’13. 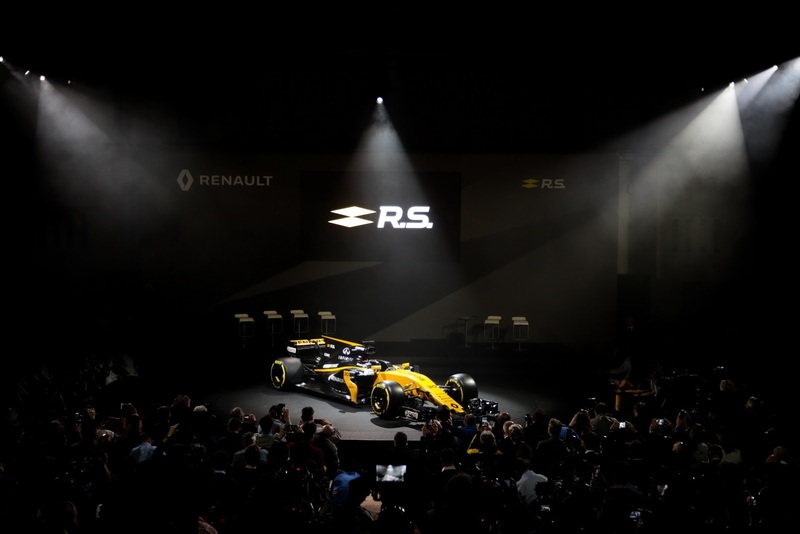 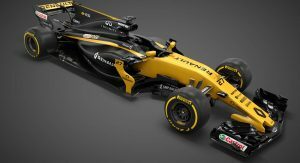 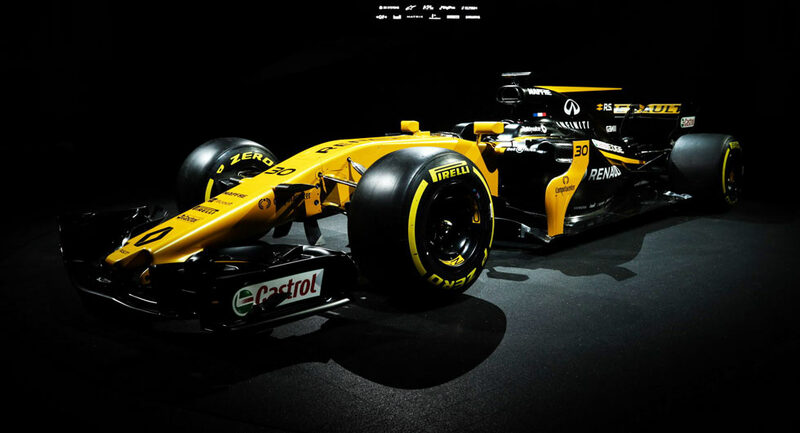 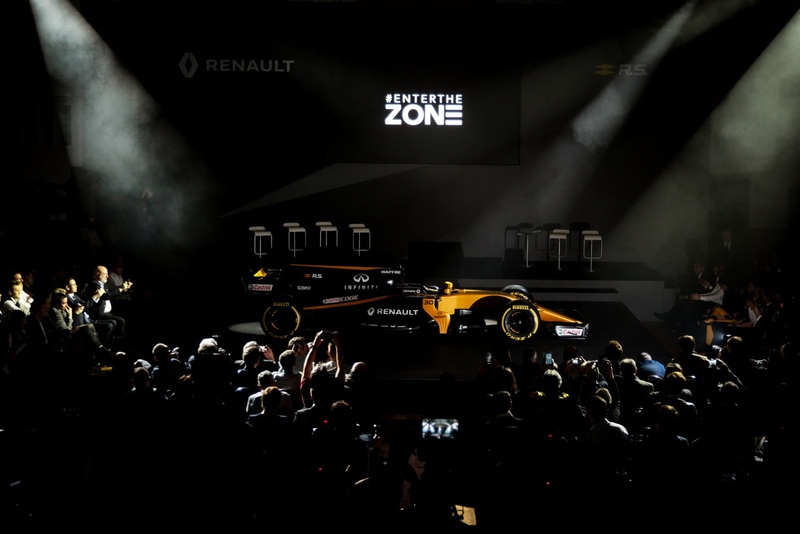 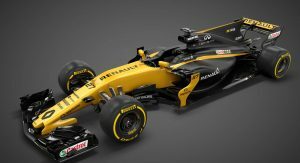 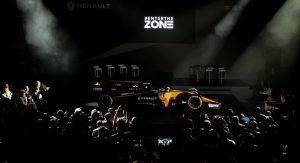 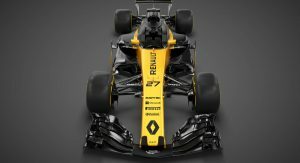 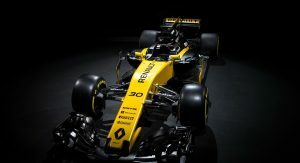 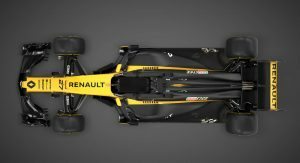 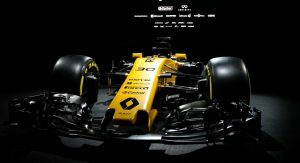 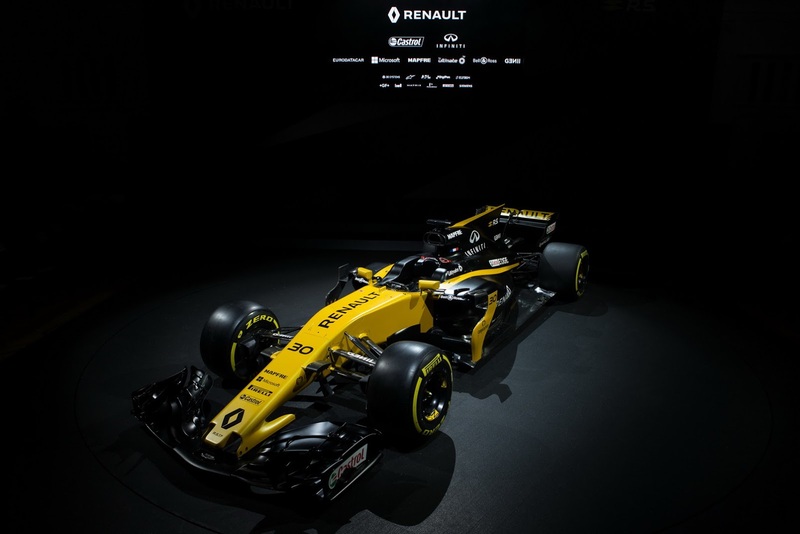 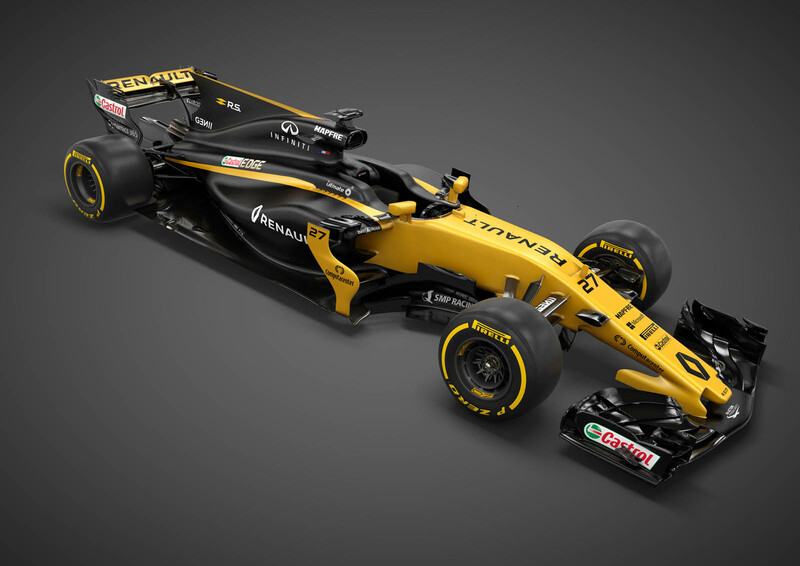 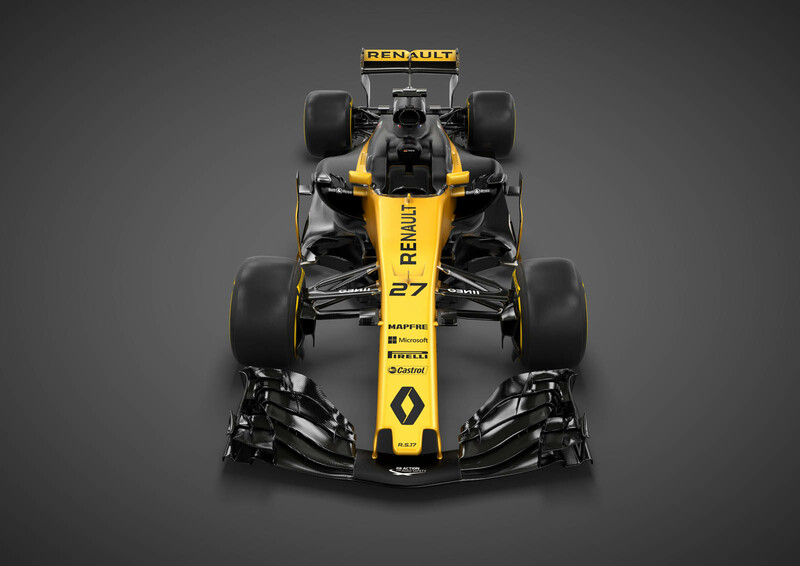 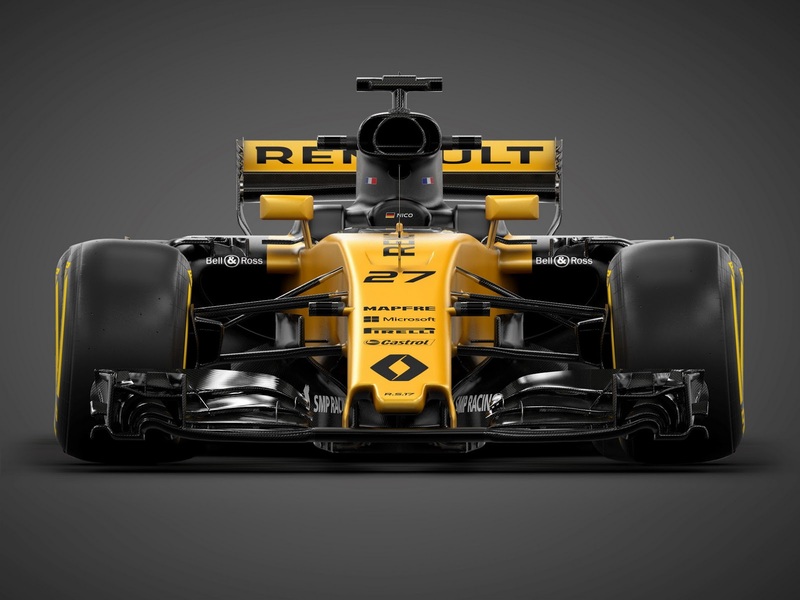 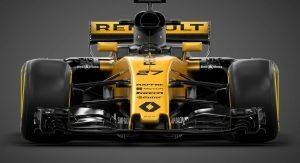 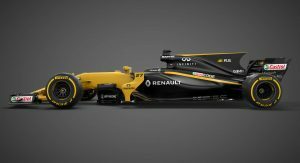 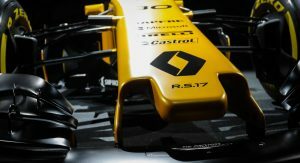 To get there, Renault is putting the new RS17 in the hands of Nico Hülkenberg and Jolyon Palmer. 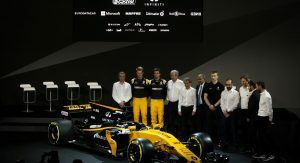 Both were there at the presentation in London, where Sergey Sirotkin was confirmed as the team’s reserve driver.